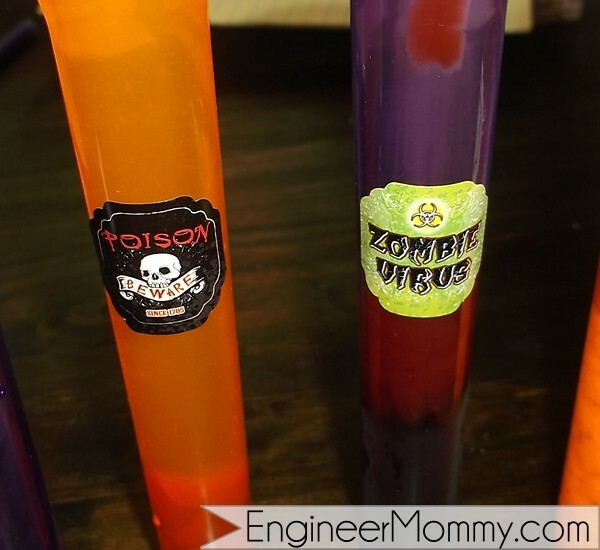 Walking around the Dollar Tree the other day, I came across a set of four test tubes with spooky stickers labeled “Poison,” “Toxic,” and “Zombie.” I have two degrees in chemical engineering, so how can I pass up test tubes for Halloween décor? It’s a given, if you ask me! 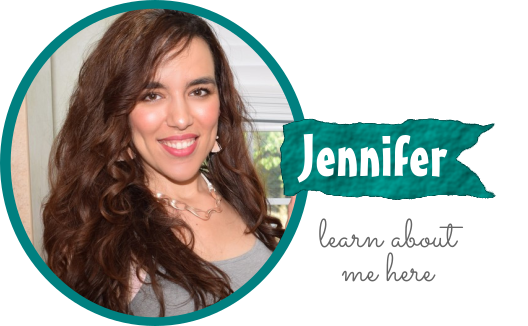 So this post will show you how I filled up my test tubes and what worked best to create that spooky grossness effect! 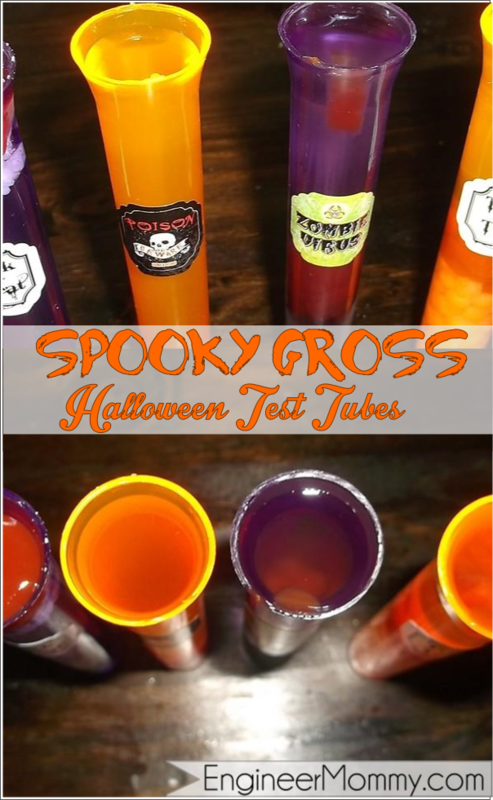 If you like the idea of test tubes for Halloween décor, then Dollar Tree has them and obviously, they’re cheap & effective. If you’re not into the test tube idea, you could fill up a set of candlestick holders or tall narrow vases or even glasses. It doesn’t matter what the holder is, as long as it is mostly (if not fully) transparent. So what did I put inside my test tubes, you ask? I definitely think test tube #3 was the biggest success. It looked so gross (in a good, Halloween way) to see the ketchup suspended in the liquid. It took on a very stringy, gelatinous texture and really made this set of test tubes look great! If I try this again in the future, I think I will use cranberry juice as the base liquid, since it is a deep red and it will add to the eerie factor! Also red gummy candies might be a great addition to the test tubes!